Slice of Haven is the top floor, end condo. 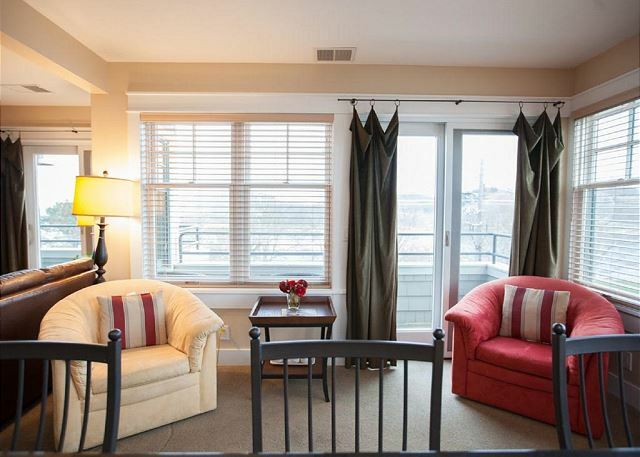 Beautiful View of the channel and Lake Michigan from all 3 balconies! Modern kitchen with granite countertops. Four barstools for convenient dining. Kitchen, living, and dining all in one. Open concept living at its finest! Kitchen table with room for four. 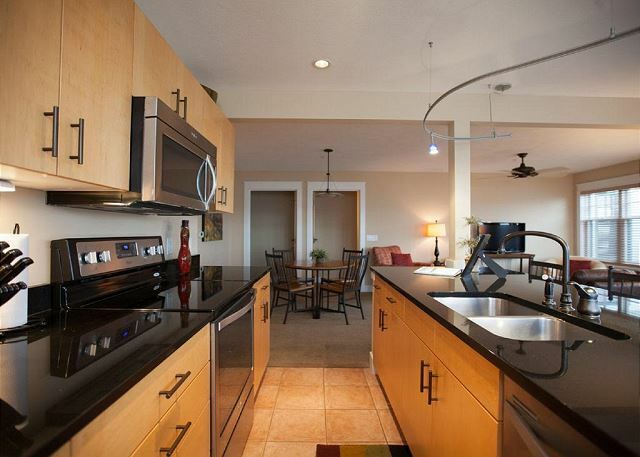 Fully stocked kitchen with everything you would need! 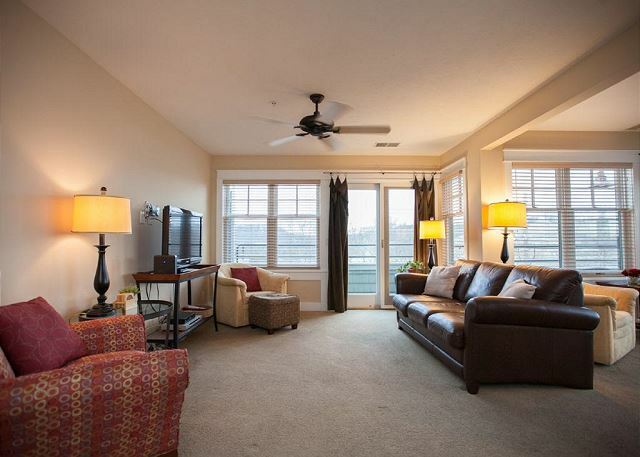 Master bedroom with a queen bed, en suite bathroom, large closet and a private balcony. Spacious living room with queen sofa sleeper. Little sitting area off of the kitchen. The guest bathroom is accessible from the hallway and the guest bedroom. 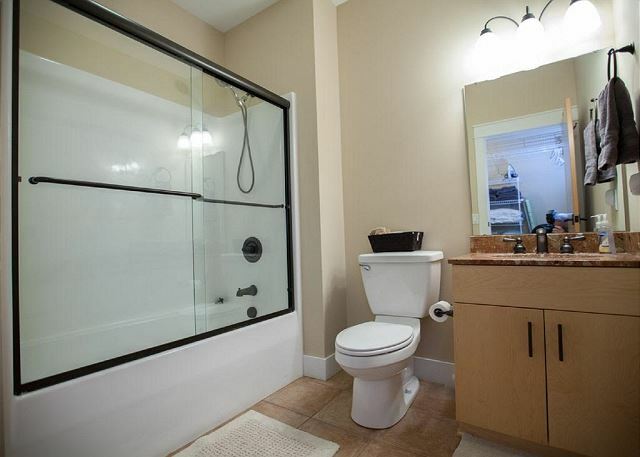 It features a tiled shower. 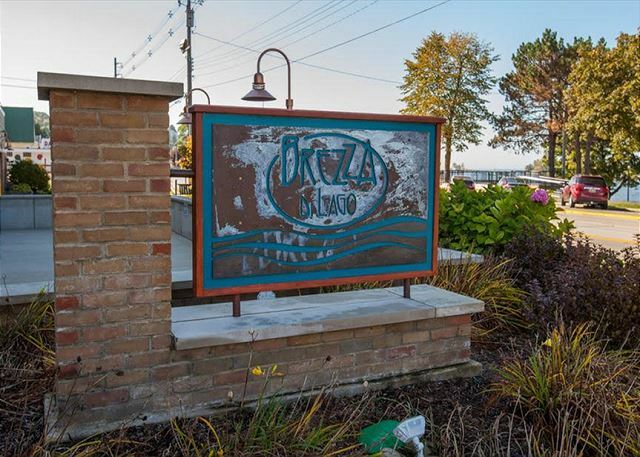 Brezza is one of Grand Haven's most highly desirable condo complexes. 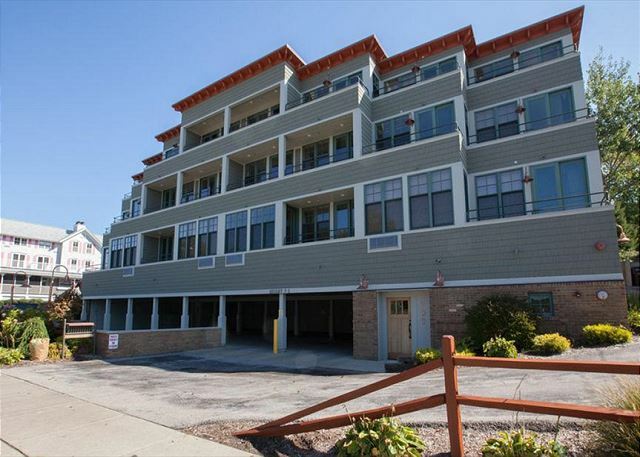 Picture yourself in this beautiful, spacious, top-floor condo (the largest in the building), watching the world go by along the waterfront in Grand Haven and enjoying spectacular sunsets! 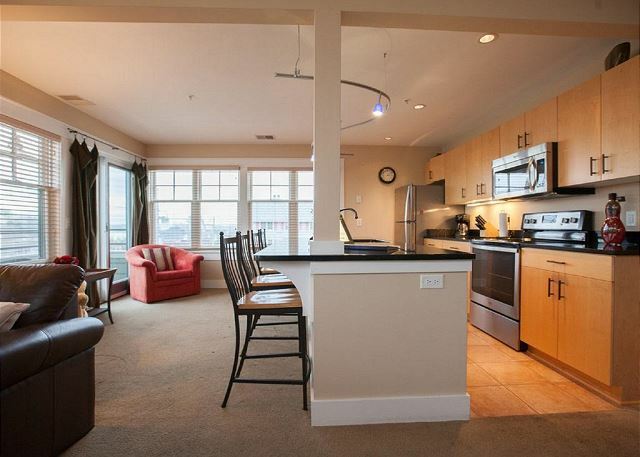 This luxury condo on the channel provides waterfront living at its finest. 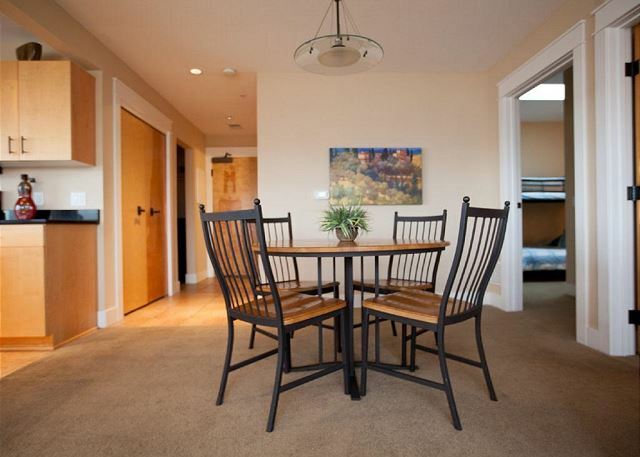 Brezza #9 is just a short walk from award-winning beaches and only a block from downtown shops and restaurants. 3 private decks allow you to relax and watch the boats, the sunsets, and the Musical Fountain. This one-of-a-kind condo is located on the third floor of the Breeza Di Lago building (don't worry - there's an elevator!). 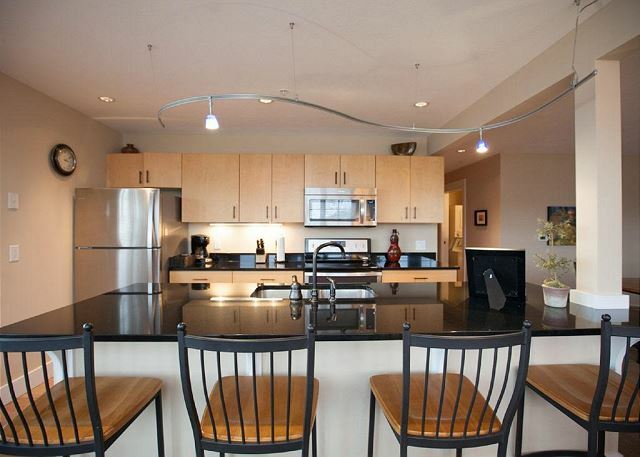 The condo itself spans one floor and is accommodating for guests of all ages. 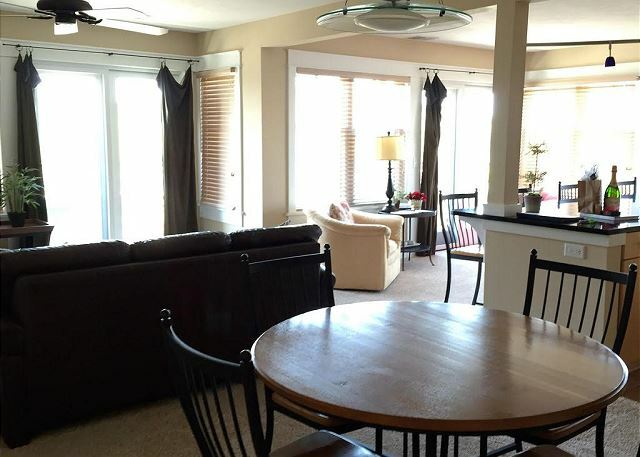 Slice of Haven features two bedrooms and two full bathrooms. 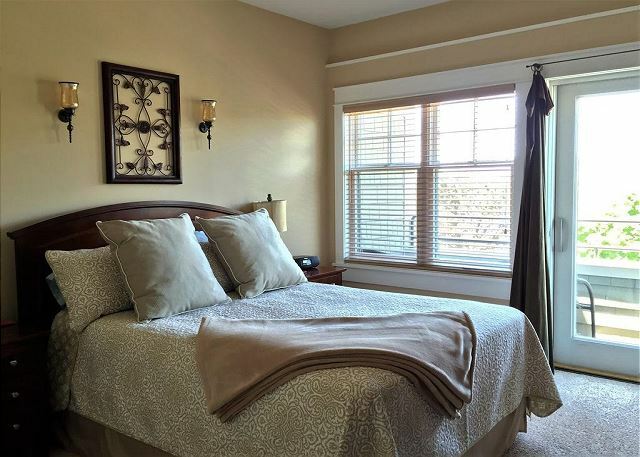 The master bedroom has a queen-sized bed, TV with DVD player, a walk-in closet, and private bathroom. There is a private balcony as well. The second bedroom has a queen-sized bed. 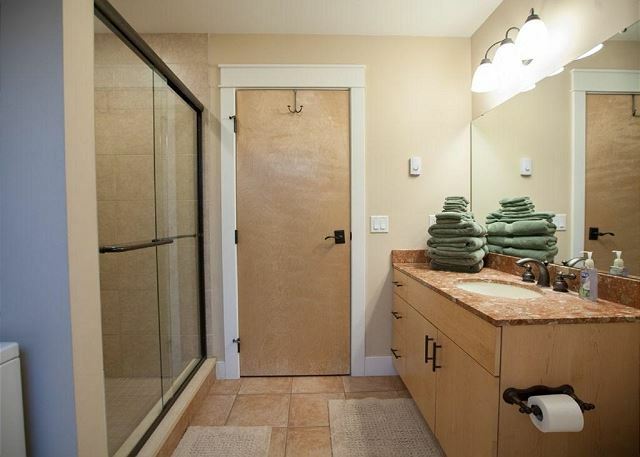 There is also a second full bathroom, with a washer and dryer. 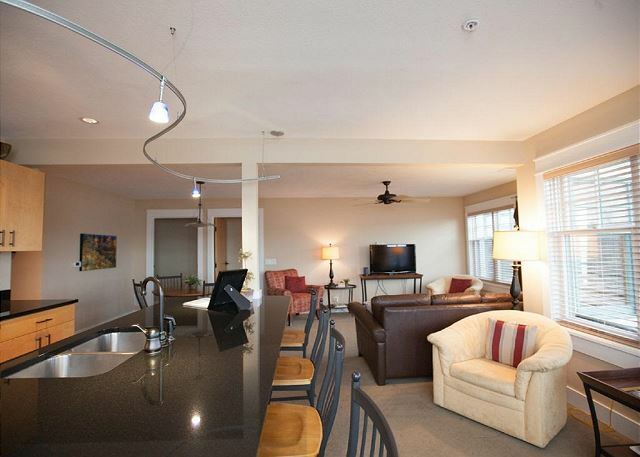 The main living area includes the kitchen with a large granite island and separate eating area, a spacious family room with leather sleeper couch and plasma TV, and 2 more decks with wonderful views of life along the waterfront. 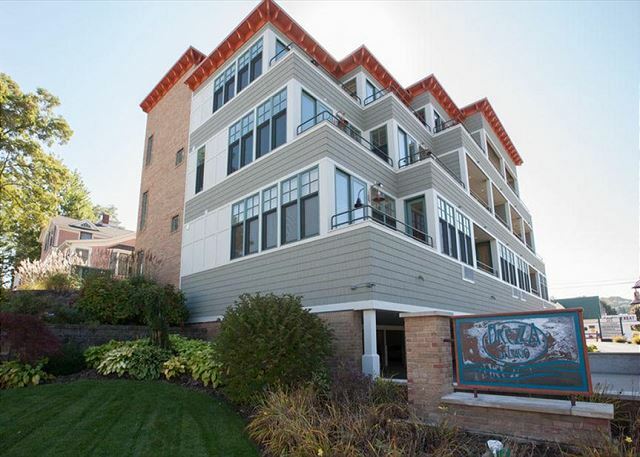 This condo is a top floor, corner unit filled with light and fantastic views of the channel and Lake Michigan. The unit sleeps 6. Bed linens are provided. The kitchen is fully equipped with dishes, glasses, cooking utensils, and coffee pot so you can stay in and prepare meals if you desire. Grocers are a short drive and there are several small markets within walking distance. There is one designated parking space for Brezza Unit #9 found in the back of the building. 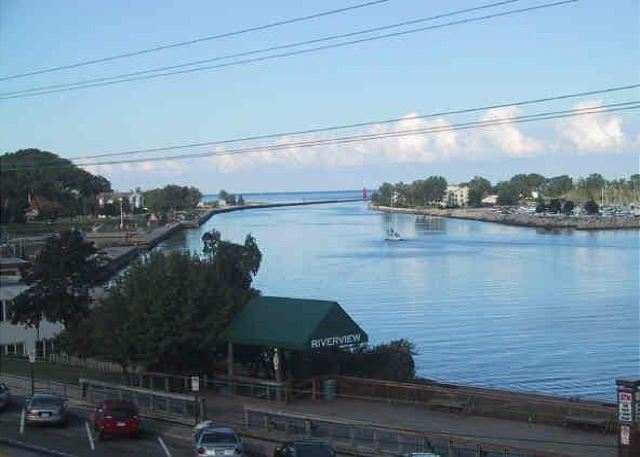 Slice of Haven truly has an ideal location for enjoying Grand Haven to the fullest. There is a wide variety of restaurants, bars, quaint coffee shops, clothing boutiques, toy stores, ice cream shoppes, all within walking distance. The opportunities are endless! My family of four stayed four nights during Coast Guard Week. It could not have been better! 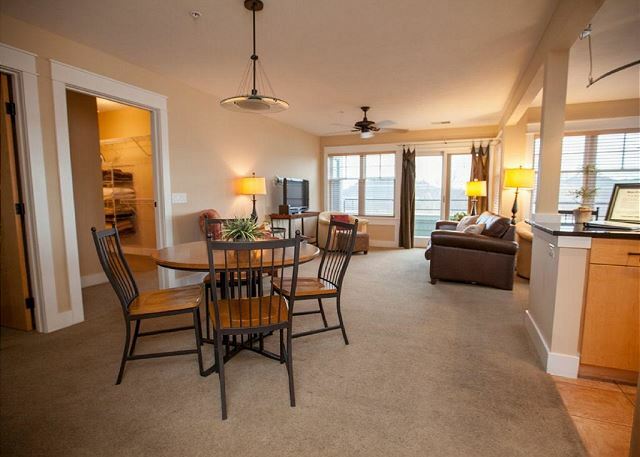 The Condo was completely ready at our arrival (spotlessly clean, nothing out of place, broken, etc.). There were clear directions on how to use things such as the WiFi or TV. The App was really helpful for Arrival and Departure instructions. Location of Condo was fantastic. Kitchen was really well equipped.